Garage sales, yard sales ads in Sydney. Thank you for visiting our free advertising website Garage sales, yard sales, Sydney section. We provide high response free classifieds and free advertisement. Use our online free Garage sales, yard sales classifieds placement system to find, list, offer Garage sales, yard sales online! Web-based classified directory for Australian garage sales in all towns and cities. List, look, and find garage sales for free! http://au.mygaragesale.com/ 0411447025 Cowra Woodstock NSW 2792 Australia. Wildboarsheds brings you the cheapest range of garage sheds in Sydney along with Victoria, Queensland and New South Wales. Yes, now you can shop your favorite sheds from us in Sydney too, contact us for more information about the most durable garage sheds that has become the best seller in our product category. 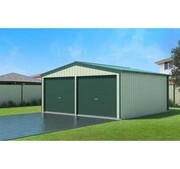 Do you want to cheap sheds in Australia? Wild Boar Sheds is one of the Australia's leading suppliers, providing the range of stylish, spacious and quality steel sheds as per your expectation. Contact us (02) 48603333 for any sheds or sourcing query.. This Sat MAY 31st - 26 Bangalla Rd Concord West NSW - 4 garbage bags full of sewing/clothing material, kids toys, kids books (Zac Power etc), kids clothes (sizes 5-10) and adult clothes, kids DVD's and videos, shoes, furniture, baby stuff, kids computer, lots of board games, many CD's and albums (from rock to classical), collectables, kitchen stuff, Women's clothes - size 10, inflatable pirate ship with water pool, etc. Over 20 households for Circular Keys Chorus – 7am-3pm. Quality new & pre-loved items. Bargains galore - all must sell..
Saturday and Sunday 14-15 September, 2013 7am – 4pm both days 11 Llewellyn Street, Balmain, Sydney NSW Wide Street so double parking ok Garage/Moving Sale – Lots of bargains. 6 burner stainless steel BBQ new in box, Reverse Cycle Air Conditioner with controller (as new), great clothes, shoes, toys, books, paintings and pictures, frames, embroidered items, curtains, tools, professional spray guns, sailing boots, wet weather full pants (female), antique lamps, collectables, bric a brac, kitchen goods, crockery, wine glasses, working fridge, ‘Back 2 Life’ - great pain reliever, plus much more Contact J. Sat 18th May. 8am - 2pm Branded quality home wares, sporting goods, kitchen ware electric guitar, books, cd s, DVDs, toys, trampoline. 131 Deepwater Rd , castle cove. NSW. 2069. HUGE GARAGE SALE MATRAVILLE BARGINS!!!!! HI ALL, HAVING A GARAGE SALE SATURDAY 16TH MARCH FROM 9 AM TO 3 PM. COME AND HAVE A LOOK, GIFTS, SOME FURNITURE, TVS, BABY ITEMS, DVDS, BRAND NEW KITCHEN WARE, HOUSEHOLD GOODS, DINNER SETS AND MUCH MORE. THANKS 7 ARMENTIERES WAY MATRAVILLE. On Saturday we will be selling a huge amount of household items including clothes, books, cd's, electronics, crockery, art, toys, and furniture - at low prices! 8 AM to 12 PM 1 Yamba Road Bellevue Hill. HUGE GARAGE SALE IN BELMORE!!!!!!! SUNDAY 18th NOV (9am start) SUNDAY 9am start till 3pm 18th NOV @ 10 REDMAN PARADE, BELMORE TRAILER, TVs, plasma tv, NEW and almost new shoes, Fashion clothing, wedding dress, expensive gowns, hand bags, BABY CLEAN & NEW CLOTHES up to sive 5yrs. furniture items, curtains, doyles, table cloths, toys, tents, dvds, cds, handbags, OLD & NEW brick and brack, elmo chair, toddler bed, books, tools, stuffed toys, kids never worn shoes, clothes with tags stills on, foldout tables, small round table, heaps of baskets, pvc pipes, . SUNDAY 20TH MAY 10AM TO 2PM 25 Dunkeld Place St Andrews NSW 2 fridges - spare/drink coffee tables linen clothing toys much much more. Garage Sale 2012-05-12 Saturday 10:00am --5:00pm 21 ottey ave, Newington NSW Excellent condition 2nd hand carpet, party plates, grass trimmer, shoes, canister, clear shoe box....and much more And unwanted brand new gifts including candle holder, bean bag covers, heater, wall shelf and ....and. Come and join the fun at Lansvale with your children. You shop while the children play on the jumping castle and get their face painted. Don’t miss out on this event as it is part of the biggest huge community Garage trail, which includes new and used home furniture, home appliances, brand new brand name children and adult clothing with tags, kids brand new toys, luggage, circuit breakers, electrical wires, home decor, Jewellery, quality make up, digital cameras, brand new ipad covers, brand new Wii games and tools, children's DVD's, Cds & story books. CRONULLA 33 Searl Rd, Sat 25/2, 8:30am - 12:30pm. Clothing, glassware, surfboards, mountain bike, damaged road bike, electronics, homeware + much more!. Moving to Qld Garage Sale. Everything Must Go! Next weekend! Moving to Queensland Garage Sale. Saturday 7th January 2012. Whitegoods, beds, cutlery, pots and pans, clothes, toys, lounges, books. Inbox me for address. From 9am until 5pm. No early starters please. 7th January 9.30am until 5pm..
We have a range of timber furniture, artworks, books, clothes (designer and vintage), shoes and jewellery. In case of wet weather we will set up in Read Lane!. Everything HAS to go! Contents from large houses, bit'n pieces, over 300 items! Some include: 10 foot snooker table and accessories, card table, lounges, tables, sewing machine, fish tank, too many to list! Come to 47 Woodville Rd, Chester Hill NSW on Saturday 26th Nov 2011 from 9-5pm.. This Sat NOV 5th - 22-26 Bangalla Rd Concord West NSW - kids toys, books, highchair, kids and adult clothes, 3 bike rack, plants, kids DVD's and videos, shoes, furniture, baby stuff, kids computer, camera, soccer boots (size2/3), lotsa board games, many CD's and albums (from rock and classical), carpets, collectables, kithchen stuff. Garage Sale Everything priced to go!!!!! Garage Sale Everything priced to go!!!!! 18 Sickles Drive Grasmere, Near Camden 22nd October 2011 One day ONLY From 8.00am to 3.00pm House hold, garage, gardening, toys, clothes, pool table, large office desk, computer equipment, books, bric-a-brac, kitchen, and horse items. Call 0407085611. Huge Garage Sale! Saturday, 24th September 2011 and Sunday, 25th September 2011 Strictly starts from 8:00 a.m. till 5:00 p.m. Firt time on offer! All items are priced to sell (translation: very low!). Lots of good quality items such as kitchen and electrical appliances, golf bag with clubs, 3 seater sofa bed, coloured TV, iron presses, dressmaker model, swarovski cyrstals, books, (very) fashionable clothes for adults and children, jewellery, crafts, fabrics, dress patterns, royal doulton, unopened wedding gifts, CDs, DVDs and more. GARAGE SALE 5 Silvertop Close Glenwood NSW Saturday 20th August 2011 9am until 1pm Furniture, electrical, toys, videos, baby stuff, kitchenware and much more!!. If you are looking for the best brand new laptop battery at the most preferred price, you have come to the right place. We provide the highest quality Hp 2230s laptop battery at the lowest price with the highest level of service, all in a secure and convenient platform. Our product range include replacement computer batteries for most major brands, including Dell, Apple, Compaq/HP, IBM/Lenovo, Fujitsu, Gateway, Sony and Toshiba. www.sydneygaragesalesfinder.com.au is a free classifieds website for garage sales in the area of the 43 Sydney metro councils. Ads last 30 days, can be changed any time and all garage sales are displayed on a convenient map. You can upload pictures of your best garage sale items and search by keyword, . Garage Sale – Moving Sale! 15 Cadwells Road, Kenthurst Saturday 4. June 2011 ; 8 AM to 3 PM; Furniture, books, magazines, tools, sporting equipment, kitchen- and Garden items, toys and children stuff, Bric-a-brac and much, much more …… NO REASONABLE OFFER REFUSED ALL MUST GO! Sale items. We're clearing out our warehouse. Used event props, wedding decor, kids craft materials, picture frames, lamps, tablecloths, cushions, tablecloths, Xmas decorations, furniture and more bargains. 1/65 Whiting Street, Artarmon NSW Friday 11th June (7am - 5pm) Saturday 12th June (8am - 4pm) Cash only. NEW BEDDING, CURTAINING AND VINTAGE CLOTHES & SHOES. LOTS OF OTHER STUFF. HUGE MOVING SALE - everything must go! All household items, furniture, appliances (all brand/near new), fashion and clothing accessories (mostly size 6-8), games, cd's, books. We are packing up to travel so everything that made our house a home MUST GO! 32 Rebecca Street, Colyton 8AM - Dark. Super garage sale featuring new and pre loved items that are unique and affordabe. Four friends who love shopping and travel frequently have an annual sale to share their precious items. Wide range of goods such as Clothes, Shoes, Jewellery, Cushions, electric goods, luggage, handbags, cosmetics, sporting items, homewares, gifts ideas, books, beauty products, music, movies etc mostly branded and near new! Even includes a wedding dress by Luci DiBella that includes tools to help alter it. HUGE GARAGE SALE Sat 28th May 8am - 11 Winnicoopa Rd, Blaxland (10 minutes walk from the train station). Clothing, shoes, big range of kids toys, furniture, books, 100s of CDs, electrical, beautiful homewares, outdoor, stunning framed pictures, new turkish tiles Huge quality selection of items from 3 combined households & 1 shop! Everything PRICED TO SELL and negotiable. Garage Sale - Saturday 16th April - 9am - 5pm Electrical items, Household items, Books, Sewing/Dressmaking accessories, Bric-a-Brac, Baby & Kids toys, Baby & Kids clothes (sizes 0000 - 4 in boys, sizes 0000 - 2 in girls), Men & Women's clothes, some designer items (women sizes 8 - 16). Loads of. Australia free ads for Garage sales, yard sales, Sydney, Garage sales, yard sales free ads Sydney, Garage sales, yard sales for sale Sydney, Garage sales, yard sales to buy in Sydney. Find on this page free classifieds for Garage sales, yard sales in Sydney. This listing includes classifieds for sale and to buy in Sydney. FREEADSAustralia Sydney offers you a platform to post free advertisements or classifieds for Garage sales, yard sales in Sydney. FREEADSAustralia helps you search, find buy, sell, rent or hire in various categories like apartments, goods for sale, local services, cars , jobs and many more in Sydney. If you posted an advertisement in category Garage sales, yard sales of FREEADSAustralia Sydney before please use Edit my ads button to change or cancel your ad. Garage sales, yard sales Sydney ads Sydney, Garage sales, yard sales classifieds Sydney, Garage sales, yard sales free ads Sydney, ads for sale Sydney, ads to buy Sydney, FREEADSAustralia. Find here ads for sale, to buy and rent in Sydney. Goods for sale in Sydney, vehicles for sale in Sydney, Sydney real estate for sale, Sydney property for sale, property for rent in Sydney, business ads in Sydney, Sydney business classifieds, services in Sydney, Sydney services ads, jobs in Sydney, pets for sale in Sydney, Sydney dating, Sydney cars for sale.